Four men have been arrested after a Songkran festival attack that left a security guard in hospital. The four were part of a large group of revelers who arrived in Bang Saen from Sri Racha to enjoy the celebration. When one of the gang was denied entry to some toilets at a factory he told the others that he had been spoken to impolitely. This enraged the friends who attacked the guard - named as Sawang - four on one. 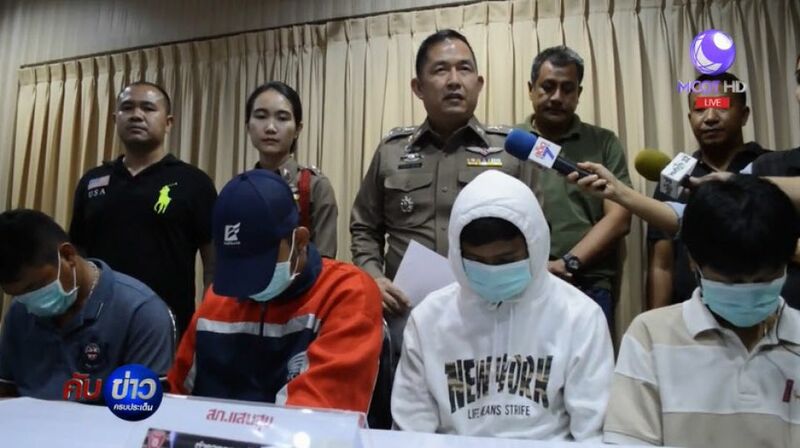 Arrested on warrants for causing grievous bodily harm were Thawatchai Thinthaworn, 26, Theerasak Somboonsirichoke, 25, Sakchai Samakit, 25 and Channapha Patrasewee, 31. Channapha said he asked to use the toilets but was denied. He told his friend Thawatchai about it and he started the attack on the guard. 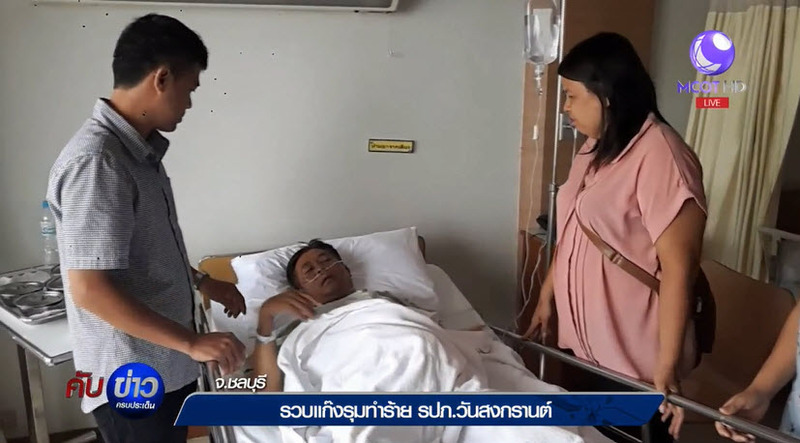 The driver of one of the seven or eight vehicles that was in the party said they had clubbed together to raise 10,000 baht to buy a basket of goodies to present to the security guard. Thawatchai said he was cross and lost it because he was drunk. All he could really say was "sorry". Of course he was sorry.. he was sorry he got caught. its amazing this country does not descend in total chaos. wait. A post in a foreign language has been removed. English is the only acceptable language anywhere on ThaiVisa including Classifieds, except within the Thai language forum, where of course using Thai is allowed. While we make allowances for members who do not speak English as their first language, we expect everyone to make an effort to post in a manner which allows others to understand their posts. Posts full of intentional misspellings, all caps, no caps, or similar slang may be deleted in order to preserve a standard of readability. This is a forum, not an SMS or Twitter message. Everything starts and ends with good education. Well done to the driver who organised a whip round and 10,000 is a tidy sum. A fine example of collective responsibility to set against the irresponsibility of their 4 fellow travellers. Jeez. Couldn't he find a tree? So, speaking impolitely to someone deserves a beating, but beating someone is okay? More Thai logic.